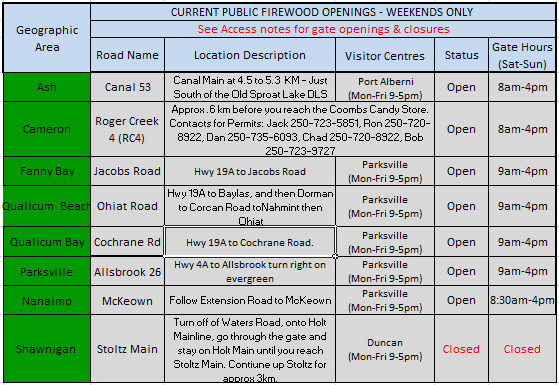 Starting Tuesday, February 13th Lower Cochrane will be open for firewood access 7 days a week! Purchase your permits at the Parksville visitors Center. Permits for weekday or weekend access (Including Stats) must be purchased separately. Please note that there will be no permits available at the McKeown gate this weekend. 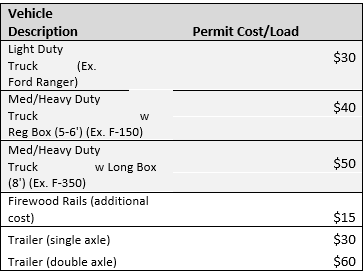 Permits are available at the Parksville Visitors Center. Check this site for Visitor's Center hours of operation.